WHERE: UPPER LOT PILLAR POINT HARBOR, HALF MOON BAY, CA. 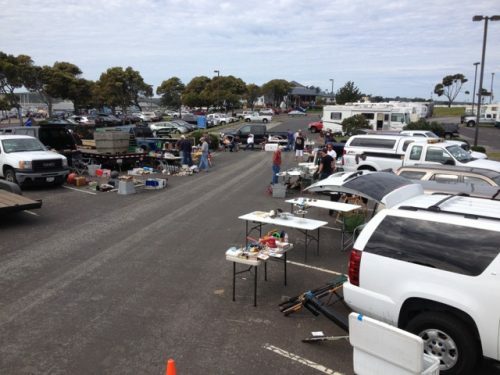 DUST OFF ALL THAT UNUSED FISHING, BOATING, AND SPORTING GEAR, BRING IT DOWN TO PILLAR POINT HARBOR FOR A FUN DAY OF HORSE TRADING AND STORY TELLING. BURGERS AND DOGS WILL BE SUPPLIED FOR LUNCH, BY THE GRILL CREW. CHECK FORUMS FOR POSSIBLE RAIN-OUT DATE AND FURTHER UPDATES. This entry was posted on Monday, May 21st, 2018 at 10:59 pm and is filed under Uncategorized.